Who will win Offensive, Defensive Rookie of the Year? Published: Sept. 30, 2014 at 01:18 p.m. Updated: Oct. 1, 2014 at 10:31 a.m.
We took a broad look at the entire class after Week 1 and Week 2 and examined the running backs coming out of Week 3. NOTE: These rankings are based solely on what's happened through Week 4. While I'm already tempted to consider Blake Bortles and Teddy Bridgewater, we'll save them for next week's deeper look at the rookie quarterbacks. 1. Kelvin Benjamin, Panthers wide receiver: He's made big plays weekly for an offense that hasn't shied away from making him its centerpiece. On pace for 80-plus catches and more than 1,300 yards, Benjamin is fifth in the NFL with six catches of 20-plus yards. It's worth noting that he's done much of this against the opponent's top cornerback. Benjamin's toughness, his ability to win battles at the point of catch and his immediate impact on Carolina's offense is one of this season's better stories. 2. Brandin Cooks, Saints wide receiver: Cooks roared out of the gate as our favorite rookie after Week 1. Used all over the field, he's fit in well with a Saints attack that forces defenses to pick between the versatile first-year pass-catcher and tight end Jimmy Graham. His 23 receptions lead all rookies, but Cooks is more than a receiver, showing the ability to be used on jet sweeps, in the backfield out of the Pistol and both inside and out as a wideout. In short, Sean Payton's dream. 3. 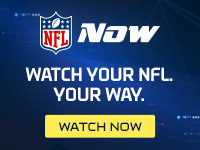 Isaiah Crowell, Browns running back: The undrafted Crowell topped our rookie running back rankings because of the raw ability he's shown over three appearances. With Crowell already seeing a handful of first-team reps in practice, we're sticking by our early-season prediction that he'll be the No. 1 back for the run-heavy Browns by year's end. 1. Kyle Fuller, Bears cornerback: Leading the league with three interceptions, Fuller has directly impacted both of Chicago's wins this season. The rookie openly struggled Sunday against Aaron Rodgers and the Packers, but his sticky coverage against the 49ers and Jets should have Bears fans excited about the heir apparent to Charles Tillman. As the first player in 20 years to notch three picks and two forced fumbles in his first three NFL games, Fuller already hints at Peanut's ballhawking skills. 2. C.J. Mosley, Ravens linebacker: Baltimore's answer to Pittsburgh's Ryan Shazier, Mosley has served as a plug-and-play inside force from Day 1. He played his best game yet on Sunday against the Panthers, shutting down the run en route to a league-leading 14 defensive stops on the season, per Pro Football Focus. He'll struggle to win this award because he's not a pass-rusher or turnover machine, but Mosley has been a rock-solid pick for Baltimore. 3. Khalil Mack, Raiders linebacker: Stuck on a floating team, Mack is gaining steam because of his highlight-reel plays against the run. Instead of being swallowed up by opponents, the No. 5 overall pick has shown the requisite strength and speed to shed blockers and heat-seek ball-carriers. He struggled for stretches against Branden Albert on Sunday, but I was impressed with his work against New England's Nate Solder in Week 3. With Mack improving as a pass rusher, too, he's a sneaky pick to top this list by December. Allen Hurns, Jaguars wide receiver: He won't duplicate his outrageous Week 1 numbers again this season, but Hurns has shown prowess as a deep threat and currently leads all rookie pass-catchers with a 21.2 yards per catch average (minimum five receptions). Like every wideout in Jacksonville, Hurns will benefit from Blake Bortles taking over the starting role. He's currently on pace for 1,000-plus yards off fewer than 50 grabs. Swearinger on getting Clowney back soon: "We don't even have our defense out there yet. When we have our full def, it's gonna be trouble." Johnny Manziel, Browns quarterback: With Derek Carr, Blake Bortles and Teddy Bridgewater already seeing their first NFL starts, it's fair to wonder when -- and if -- Johnny Football will make an impact. If Brian Hoyer holds down the role through a soft upcoming slate that features the Titans, Jaguars, Raiders and Bucs -- along with a home date against the Steelers -- Manziel will remain nothing more than a Kyle Shanahan plaything, brought out only for special occasions.